Are You Ambitious? Are you thinking about your future? You have an idea and you dream of becoming an Entrepreneur, to have success in your life but you don’t know how and from where you want to start? 1. What is Start Academy? 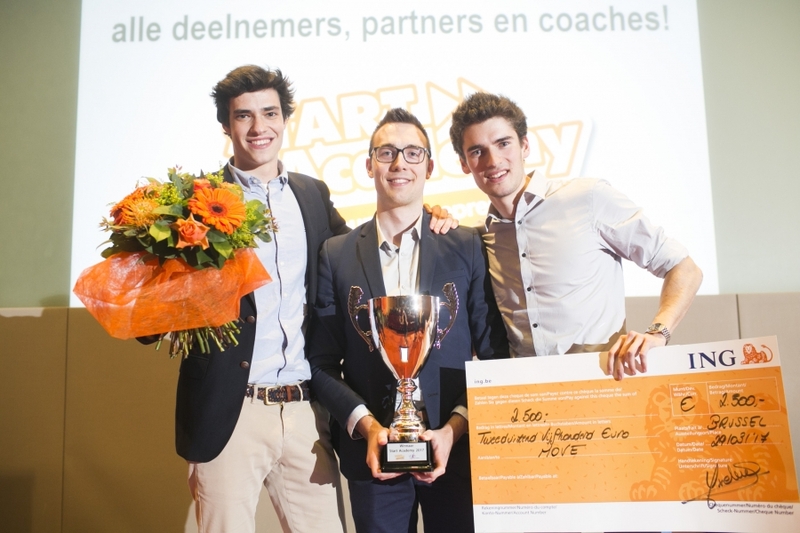 In February, Vlajo, the Flemish organisation for young entrepreneurs, is organising a very cool student-entrepreneur competition called Start Academy. In this contest, students with an entrepreneurial mindset are challenged to come up with the next big thing! The winner(s) get(s) €2.500 to start rolling their own idea out! Awesome right!? You will run through a three-month trajectory as from the 19th of February up until the 18th of April. 3. How it could help you? This is not a business plan competition but a TIME-FOR-ACTION challenge! With the help of the Lean Canvas model, you’ll learn how to transform your idea into a working business model. The exact same way Zerocopy came to be, from an idea of a few students to a scaling company. During Start Academy, the candidates are intensively supported and mentored by other entrepreneurs and professionals to discover if there would be any market potential for his/her idea. The competition ends with six finalists, but for all participating teams Vlajo aims for an intensive learning process, they offer many networking opportunities and … a nice reference on the CV! And, whether or not you’ll win, with this experience in their pocket, you at least have a first set of tools to effectively realise your entrepreneurial dream, in the short or long term. Register on the Start Academy website and who knows, maybe in 3 months you’ll be walking out with a €2.500 cheque!